Which contributes more to a fulfilled work life, money or a sense of purpose in what you do? Which motivates you to do better? While money is certainly important, feeling some kind of purpose in your work generally leads to a happier working environment and often a more profitable one as well. A couple of articles I recently came across reminded me of this. Both mention the greater success that follows from working with a sense of purpose. The first suggests that when employees feel like they’re working for something greater than profit, the company tends to make more money. The second offers advice to a young entrepreneur and it mentions that a strong sense of purpose leads to being more fulfilled in your work. I’ve always agreed that a strong sense of purpose is important to success and happiness. The topic also reminded me again of Maslow’s Hierarchy of Needs, which you may be familiar with. You’ve probably come across Maslow’s hierarchy of needs before. If not, the gist is that while looking to understand what motivates people, Abraham Maslow theorized that people move through five basic layers of motivation that map to psychological growth. Before you can be motivated by a need higher up the pyramid you first need to have the needs below it fulfilled. In other words once someone’s physiological needs are met, they move up the pyramid and are motivated by safety needs. Once those needs are met, the motivations are more social and so on. The lower levels of the pyramid are clearly important, but those at the top are better motivators once we reach them. You might even think of the lowest level as the minimum viable need. If you’re working at one level of the pyramid and the needs of one of the lower levels is no longer being met, the lower level gains importance and your motivation drops back to that level. There’s been valid criticism of Maslow over the years. For instance there are many examples of people being motivated by one level in the hierarchy even as needs from lower levels haven’t been met. Still the general idea of the hierarchy seems to hold true enough and at the very least it’s interesting to talk about. Money falls into the lower part of the pyramid. It fits best into the safety/security level. We’ve all done things we didn’t want to do for money. I’m not talking about bank robbing sort of things, but I’m sure at one point or another you worked all day at a job you didn’t like or you’ve taken on projects for clients when you had a strong feeling the project would be a nightmare. I know I’ve done both. We all have bills to pay and banks and utility companies aren’t likely to let you slide if you tell them that you would have paid, but you didn’t feel comfortable taking on a specific client. Like it or not we sometimes do work we’d prefer not to do, because we have responsibilities and bills to pay. Welcome to the world. 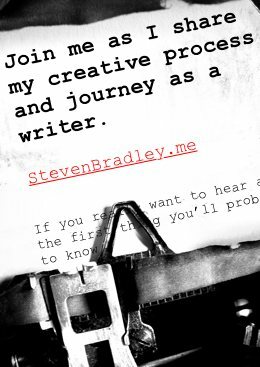 The question I’d ask is how motivated were you when working on those projects? Did you do your best work? If you’re like me, you did what you had to do to get through the project, but most of the time your main thought was to get it over with so you could move on to something you liked better. Money is usually not the greatest motivator for doing your best work. It’s often enough to get us to do the minimum (or hopefully something more than the minimum) that needs to get done, but it doesn’t inspire us to do our best work. 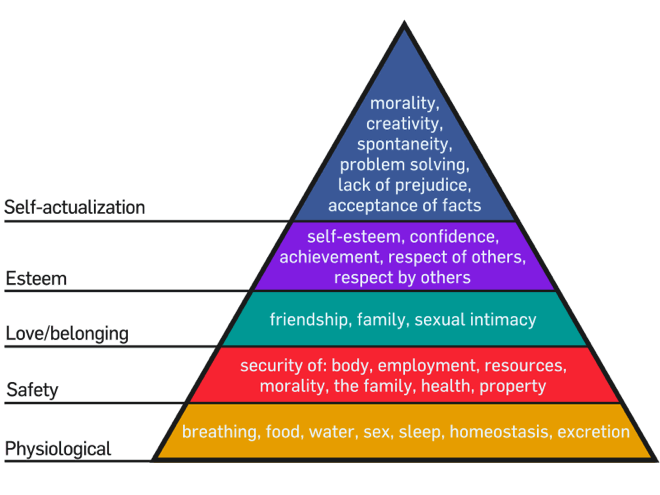 Where money sits lower in Maslow’s hierarchy, a sense of purpose sits at the very top as part of self actualization. It has a greater ability to motivate us to do our best, especially when our needs at the lower levels are already being met. Once security needs at the lower level are met there’s a good chance you’ll turn down some of those jobs you didn’t like doing. Most freelancers have said at one point or another that they look forward to the day when they can be more selective about which projects they take on. It’s Maslow in action. It’s turning down those projects that don’t motivate us for those that do and the latter come about more from things higher up in the pyramid. Fulfilling needs at the top of the pyramid is harder. A sense of purpose is not easy to find and it’s more difficult to complete. However, the reward for success is much greater and the journey itself more enjoyable and both increase the likelihood of you doing better work. Some people (and I include myself here) reach for the top of the pyramid even when our needs lower on the pyramid aren’t entirely met. I think many creative people fall into this group. We see what the top of the hierarchy has to offer and understand its larger significance and we’re impatient to get there. It’s why I’ve sometimes talked about design beyond the nuts and bolts and asked if it’s noble or if the industry has a common conceptual core. I think if more of us reach for the top of Maslow’s pyramid, we’ll ultimately produce better work because it gives us more motivation to do better. I have a hunch doing better work at the top will also lead to needs at the bottom being fulfilled. I think everyone who’s ever felt a sense of purpose or at least a desire to have one will find it difficult to again feel the same motivation toward lower level needs. It’s difficult to move back down the pyramid, even if it’s sometimes necessary. For me it’s never been all about the money. Financial security is certainly important to me, but it doesn’t rank as the #1 motivator for why I do the things that I do. I can easily list a few other things that are of higher priority to me. At the same time whenever my financial needs aren’t met, money quickly moves higher up on my list of priorities until some financial security is back in place. Regardless of the criticism it receives, Maslow’s hierarchy seem to generally describe what motivates me. I think most people are similar. Some always seem focused on the money alone, but nearly all of us when feeling a sense of purpose find it’s a much stronger motivator and I think that helps us achieve better work. My guess is you’ve experienced this at some point and I hope this post can be a reminder to reach for something more. Thanks Phillip. I downloaded the PDF and will give it a read when I get a chance. It sounds interesting. Definitely the kind of thing I enjoy reading and thinking about. Makes sense that social threats are just as powerful as physical ones. I’m not sure if that goes against Maslow though. I would think the physical are still the more immediate threat and so according to Maslow we’d deal with those first. Not that I agree with everything Maslow said, but I’m not quite sure the equally powerful threats go against his hierarchy. Regardless, it’s interesting to think about and talk about. I’ll definitely read the PDF on SCARF. Thanks again.